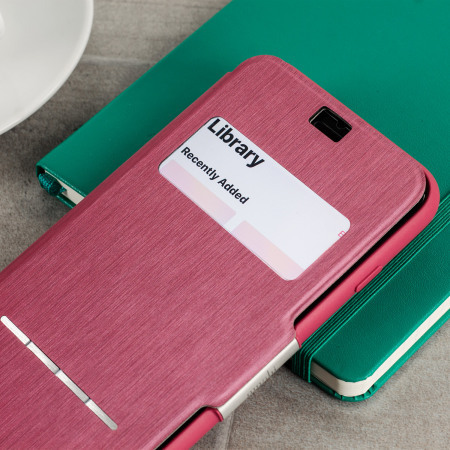 The Moshi SenseCover for the iPhone 8 Plus / 7 Plus in Rose Pink is a unique case with a touch sensitive cover that allows you to quickly view the time/date as well as answering calls without the need to open the case. 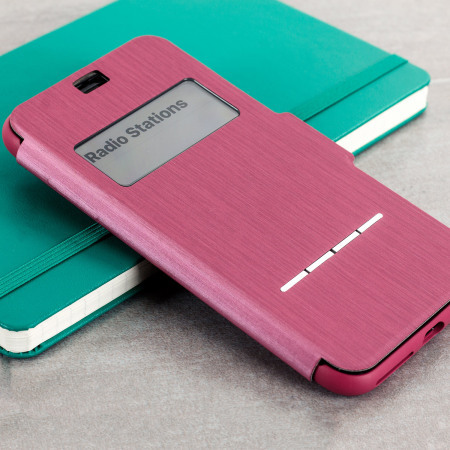 Please Note: This image shows an iPhone 5S and is for demonstration purposes only, the case you will receive will be for the iPhone 8 Plus / 7 Plus. 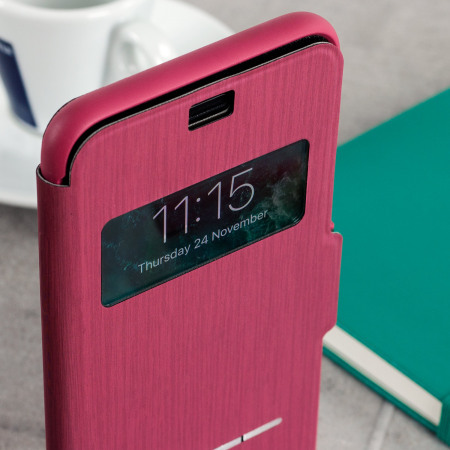 Aptly named, the SenseCover case for the iPhone 8 Plus / 7 Plus includes a cut-out allowing you to view the time, date, incoming calls at a glance through the front cover window, you can also swipe through the touch-sensitive case in order to interact with your phone even when the case is closed. 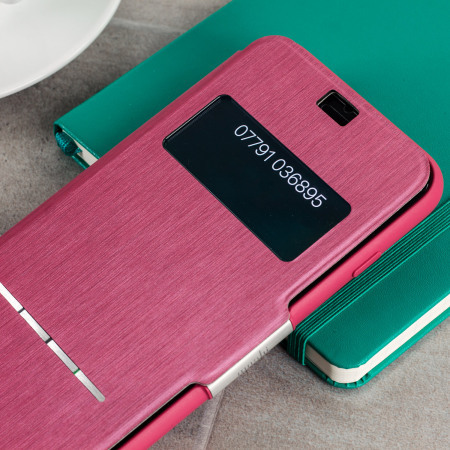 This allows you to answer or reject incoming calls as well as swipe off alarms without the need to open the case each time. 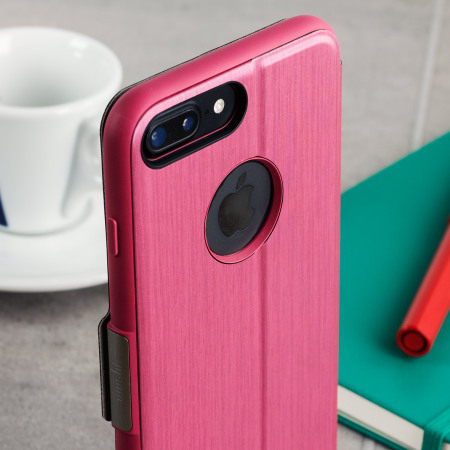 Protect the front, back and sides of your iPhone 8 Plus / 7 Plus from scratches, scrapes and front-on impacts with the SenseCover from Moshi. 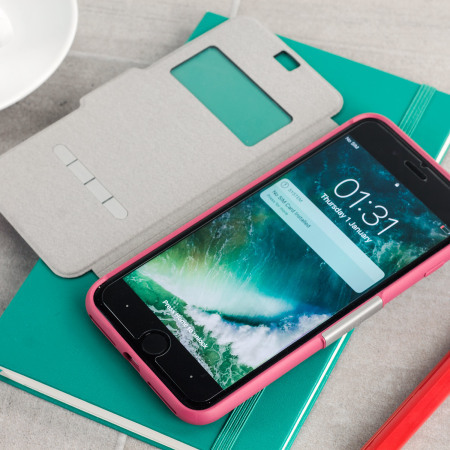 Providing full 360 degree protection the SenseCover combines the perfect blend of functionality, protection and style, keeping your iPhone looking as good as new. 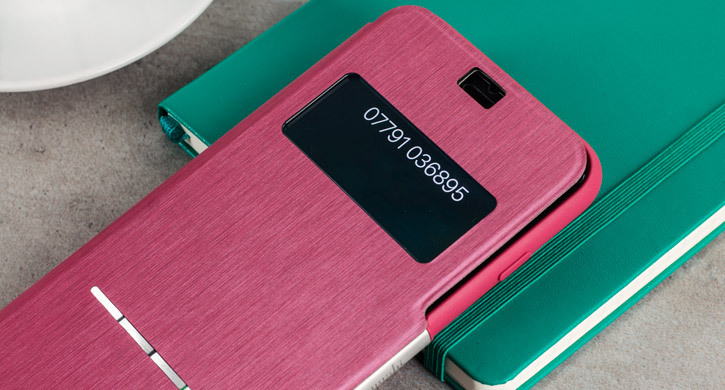 The SenseCover features a magnetic clasp, which keeps the cover closed when not in use and stops it from flapping around when folded back. 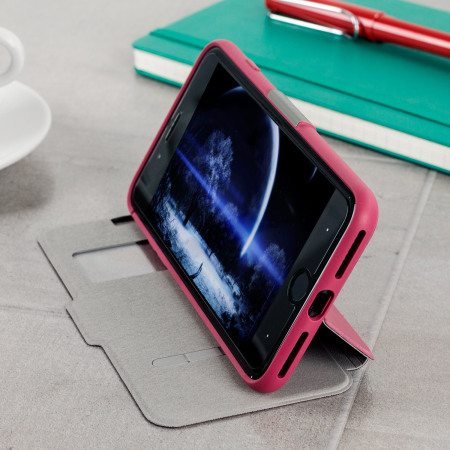 Complete with a built-in media stand, the Moshi SenseCover provides the perfect way to watch videos, view pictures and type messages on your iPhone 8 Plus / 7 Plus. 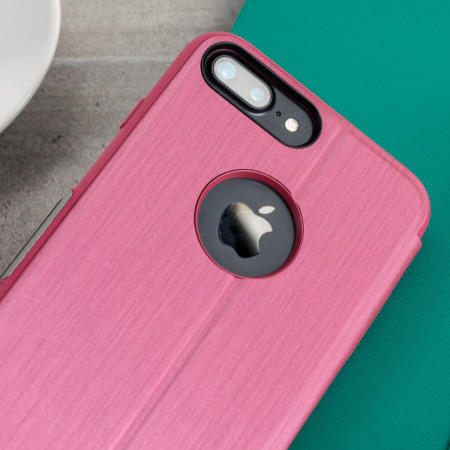 Made from high quality synthetic materials, this flip cover will keep your iPhone 8 Plus / 7 Plus screen looking as good as new. 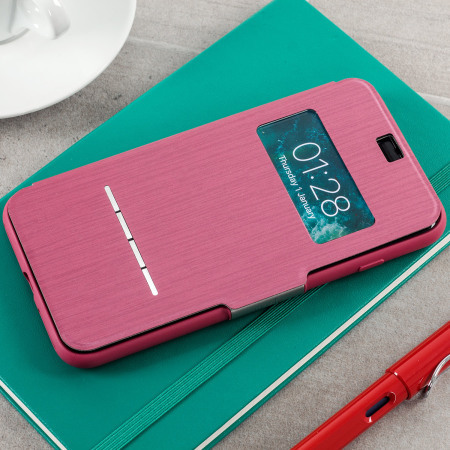 The cover is tough enough to withstand day-to-day punishment without blemishing, so both your phone and cover remain pristine for longer. 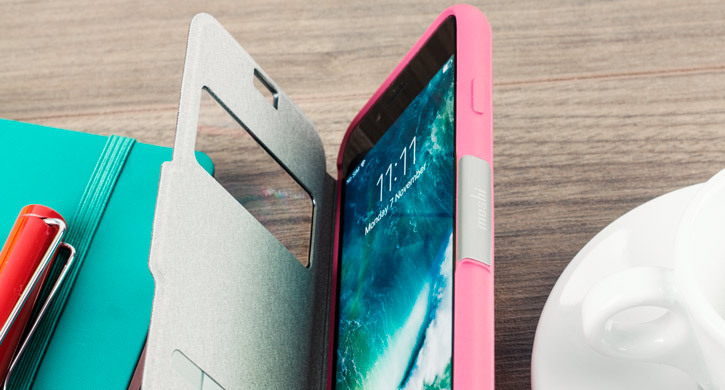 This product has been made specifically for the iPhone 8 Plus / 7 Plus and is made to the highest standards with the best quality materials. 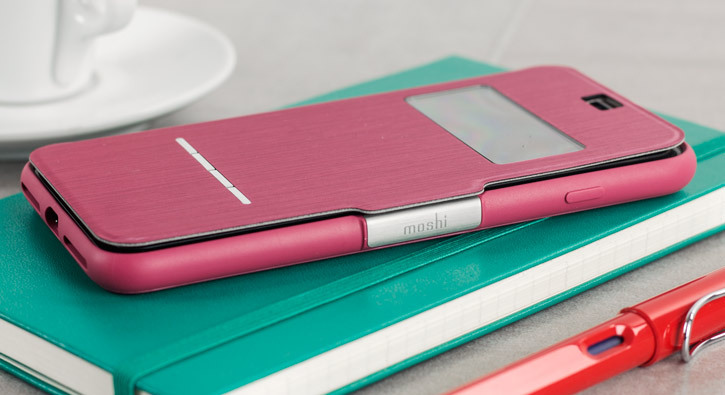 The Moshi SenseCover offers a perfect fit and does not impede the use of any of the functions including the power and volume buttons, charging port or rear cameras.